During September Sallyann Duke went to the annual hundred mile “Tom Quilty Memorial” endurance horse ride for which she took the opportunity to chase people for donations or sponsorship for her successfully completed kilometres, whilst also raising awareness of CIKA, its work and objectives. The Tom Quilty ride was originally founded by legendary Australian bushman R.M. Williams in 1966. Riders who successfully complete the 160 kilometre ride within the twenty four hour timeframe receive a silver “Tom Quilty 100 miles in one day” belt buckle which is a very sought after item amongst the endurance riding fraternity. 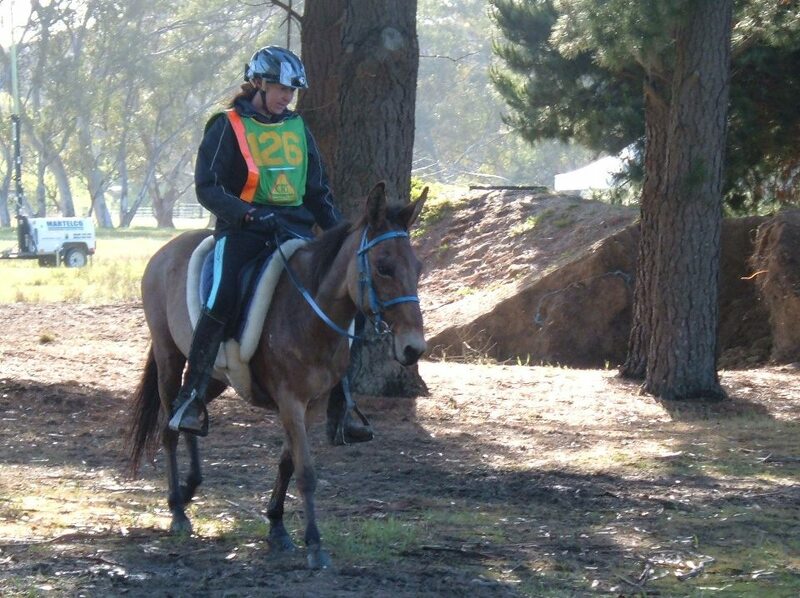 This year’s event was held at Mount Pleasant in South Australia with about 210 horse-and- rider starters; Sally, however, was the only rider to attempt the event on a mule, a feat which had only been achieved once before. Sally and Joseph set off at the midnight start on the first of five legs. The weather leading up to the event was very wet making for challenging conditions over the whole course. Over the first two legs they travelled along well though some of the course was becoming very boggy. Unfortunately, after the third leg, with a hundred and ten kilometres, completed, a perfect score by the vets and ruled fit to continue, Sally made the unselfish decision to withdraw as the conditions were so hard on Joseph. Although that meant no buckle for Sally it was still a hundred and ten kilometres completed for those who pledged a per-kilometres donation for CIKA. Sally and Joseph’s effort raised around five hundred dollars and, hopefully, some awareness of CIKA amongst a new circle of people.